The restaurant sim can be yours when you join this month. Sign up to the PC Gamer Club's Legendary tier this month, and you'll get a key for the excellent restaurant sim Cook, Serve, Delicious! in your inbox. It's the ideal game if you want to make yourself really, really hungry. This key comes courtesy of Fanatical.com, a game key and bundle retailer that sources all of its keys officially through developers and publishers. This is to celebrate Cook, Serve, Delicious 2! being discounted by 50% for the next few days. If you enjoy the first, pick up the second for less. Cook, Serve, Delicious! hails from developer Vertigo Gaming Inc., and in the game you'll climb the ladder from shoddy café all the way up to Platinum-graded restaurant superstardom. It's also got a co-op campaign and an endurance mode, and the game's lovely food art was done by artist Sara Gross. You'll find everything in there from lobsters to burgers to enchiladas: the only food that matters, basically. 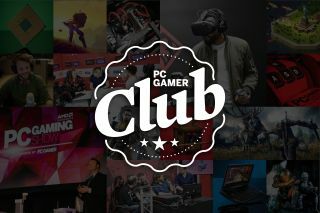 By joining the PC Gamer Club, you'll get an ad-free version of PCGamer.com, our magazine sent to you digitally every month, access to our member-exclusive Discord server and more. Each month, too, Legendary members will get a game like this one in their inbox.